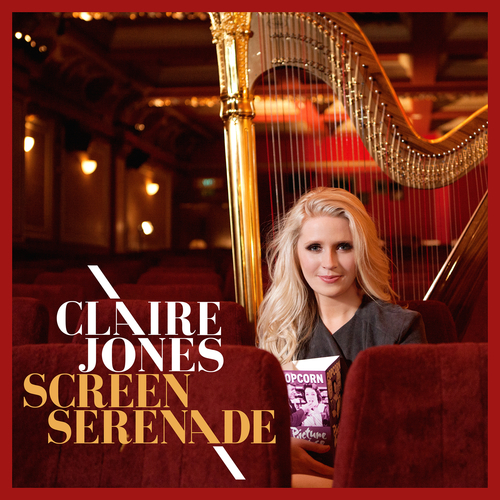 Screen Serenade is a glorious celebration of well- loved film and TV themes especially arranged for solo harp by Claire’s husband, percussionist and composer Chris Marshall. Claire’s radiant performances range from commanding torrents of sound to a new, fragile and contemplative quality that Claire brings to music usually associated with the strings, piano and even the full orchestra. Sublimely delicate, yet at times poignant and implacable, Screen Serenade is a delightful album featuring themes such as Jurassic Park, Ice Dance (Edward Scissorhands), Downton Abbey, Cavatina (Deer Hunter), Pirates of the Caribbean, Romeo and Juliet, and E.T. One of Wales' most outstanding classical talents, Claire became a household name in 2011 following her esteemed performance at the Royal Wedding for the Duke and Duchess of Cambridge, and she also held the position of Official Harpist to HRH The Prince of Wales 2007-11.